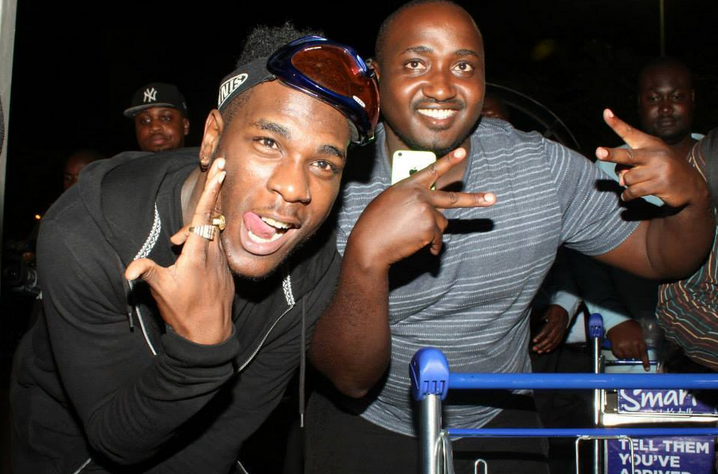 Nigerian reggae-dancehall star Burnaboy touched down at Entebbe International Airport aboard a Kenya Airways flight in the wee hours of Friday on his first ever trip to Uganda. The West African musician is in the country to take part in the Club Mega Fest scheduled to take place at Mandela national stadium (Namboole) on Saturday. Popular for hits like “Yawa Dey” “Run MY Race” and “Wombolombo”, Burnaboy will feature on same stage as American superstar Shaggy, South Africa’s Mafikizolo and Jamaican legend Patra. The dancehall sensation, whose real names are Damini Ogulu, arrived emerged from the Arrivals section at Entebbe airport clad in a black T-shirt and black shorts, all matched with a black hoodie teamed with long white socks. He immediately promised to live up to his fans’ expectations on Saturday. More international acts are expected to arrive in the country ahead of the hyped show as the buildup to the event – dubbed the biggest music festival Uganda has seen – reaches its climax.